Art activity is one place to channel children’s talents. Not many know that art activities actually have many benefits for the future development of your baby’s heart. That’s why Mother needs to listen to the 5 benefits of the following art activities for children’s education. Although sometimes it looks chaotic, but art provides a place for children to express themselves. Whatever work they produce is one form of creativity that comes naturally. If this creative ability is trained, then your child can apply creative thinking to adulthood. 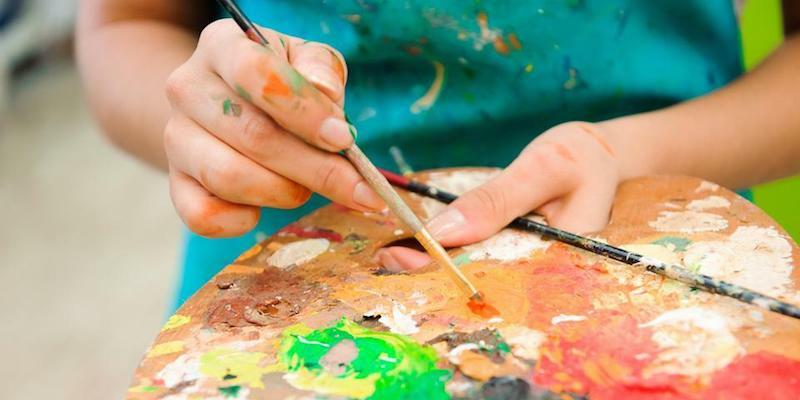 According to research in the United States, children who are active in art activities on a regular basis are four times more likely to win academic achievement than those who do not. Because that is very useful for educating children in the future. Simple things like holding a paint brush and writing with crayons are important elements for developing good children’s motor skills. According to the National Institutes of Health, this is marked by the ability of your child to be able to draw a full circle at the age of three. When your child dares to go up on the stage and sing in front of a crowd, then the positive response of those around him will make his confidence grow. This confidence gives many benefits for educating children in school. When your child draws, then he develops visual-spatial skills. According to Dr. Kerry Freedman, Head of Design and Art Education at Northern Illinois University said that art activities provide children’s education to interpret, criticize, and use visual information, as well as make decisions. Many simple art activities that you can do with your little one such as singing, drawing, making finger painting, collages and so on. This activity is a useful provision for children’s education in the future. PrevDoes A School Training Assist All People Equally?